Former Newcastle United midfielder Lee Clark is set to become the second ex-Geordie to manage Birmingham City, following the announcement that he is to take over the Midlands club. Clark follows in the footsteps of former Newcastle manager Chris Hughton, who did a great job in tough circumstances for the Brummies last season. Hughton’s great management at both Newcastle and Birmingham has earned him a role at Norwich City instead, leaving Clark as Birmingham’s best available candidate for his replacement. The Birmingham City gig marks his second as a football manager, after a record-breaking three-year stint with Huddersfield Town. It was at Huddersfield that Clark’s team went unbeaten for a Football League record 43 games, something that won’t be repeated any time soon. 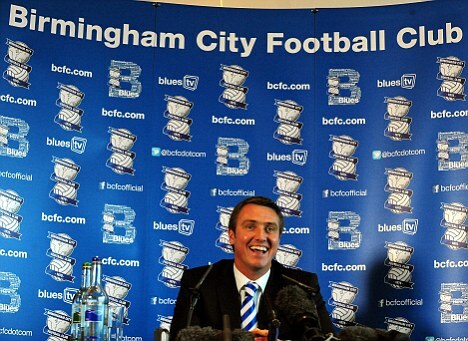 But things won’t be as easy for Clark at cash-strapped Birmingham. Clark claims that he is “fully aware” of the financial situation he is walking in to, but the reality of Birmingham’s problems won’t sink in fully until the season begins, and players start to be sold. From the end of the 2010-11 season to date, City have had to give away an astonishing 23 players, most of whom were regular contributors to the first team side. A young manager like Clark will definitely struggle to handle such a revolving door at the club. As bad as the situation is, though, we should wish Clark and his attacking system luck, and if he’s anywhere near the manager he’s touted to be, he should be just fine.